One of the most common mistakes made by home buyers today is failing to have a survey performed on the property prior to purchase. 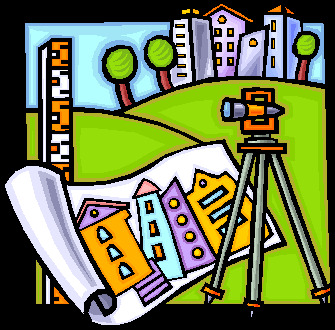 Surveys reveal the dimensions of the lot and the placement of easements and building limits. But most importantly, they also disclose whether the improvements (house, garage, pool, drive, etc.) encroach upon the neighboring properties, building limits, or easements. Prior to 1997, nearly every lender required at least a mortgage inspection (a “shortened” form of a survey) on a property before making a loan. The lenders wanted to make sure that their investment was protected from claims made as a result of encroachments. Then something dramatic (and virtually unknown) happened that allowed lenders to be protected without the performance of a survey: all the major title companies decided to insure over (i.e. grant coverage even with) survey defects for the lender’s title insurance policy. That meant that, when a garage encroached into a M.S.D. easement, for example, the lender would have protection against that type of claim. If M.S.D. forced the removal of the garage, the lender’s interest would be protected. But unfortunately, even if a buyer purchased an owner’s title insurance policy, the buyer would not be protected against that claim. Even though the title insurance policy companies removed the survey exceptions on the lender’s title insurance policies, they did not remove these exception on owners’ policies. When lenders stopped requiring surveys, buyers stopped ordering them. The GLAR contract was amended to encourage surveys but buyers continued to purchased properties without them. Today, surveys are rarely performed on residential home purchases. Back before 1997, we dealt with 2-3 encroachment issues a week in our office. Now, we see almost no encroachments. Is that because the encroachments have disappeared? Obviously not. It’s because, even though they exist, nobody is discovering them. The only way to know if your buyer is purchasing a property with a deck encroaching onto an easement, a driveway encroaching onto a neighbor’s property, or a house built over a building limit, is by having a survey done. Simply put, if your buyer buys a home without a survey, she may be buying a home with one or more of these problems and never realize it until she attempts to sell it. Buyers’ agents should recommend that their clients purchase staked surveys or, at least, mortgage inspections. While mortgage inspections aren’t perfect as no stakes are placed into the ground and not all corners are located, they will at least usually reveal whether there are encroachments. If the buyer doesn’t purchase a survey or mortgage inspection, and if an encroachment exists, the buyer may have an unmarketable piece of property. Or, she might have to pay to remove the encroachment. On the other hand, when the survey is performed prior to closing, the buyer can require the seller to address the issue. And if it is an irresolvable issue, the buyer can void the contact. Without a survey, the buyer assumes the risk of these potential survey defects. When I teach first-time homebuyers, I recommend that they purchase stakes surveys. But I also tell them that, if they can’t afford a staked survey, they should at least purchase a mortgage inspection. And if they can’t afford a mortgage inspection, I recommend that they not purchase a house until they can afford to protect themselves adequately. I recommend the buyers’ agents make the same recommendations to their clients. Put our team of Louisville Realtors to work for you. We want to provide you with the best in representation. Contact us today!